If you’re planning to release your music on vinyl, I highly recommend hiring your own lacquer cutter to cut your lacquers before sending your project on to the pressing plant of your choice to be manufactured. It’s also important to have your original digital mastering engineer prepare a quality vinyl pre-master to use as the master source for lacquer cutting. I’ll explain in more detail why this is important later in the article. As a mastering engineer, I cringe when I see clients send their projects directly off to pressing plants and leave the lacquer cutting in their hands. What’s worse is a certain pressing plant in Nashville, TN (USA) that asks for the audio on a CD-R, and charges extra if you want to submit the audio as data via 24-bit/high sample rate WAV files. Here are a few reasons why it’s a good idea to use a dedicated lacquer cutter for your vinyl project, rather than sending your digital audio directly to a pressing plant and leaving the sound quality up to fate. If you hire your own lacquer cutter, you have an open line of communication with the person cutting the lacquers, which is the most important part of the vinyl manufacturing process regarding sound quality. You wouldn’t consider sending your unmastered mixes directly to a CD manufacturing plant hoping they master the songs to your satisfaction, and have them start pressing copies without hearing the mastering results first. Sending your audio straight to a vinyl pressing plant and letting them handle the lacquer cutting is essentially the equivalent of that. Transferring your digital vinyl pre-master to a lacquer is an extremely crucial process, and has a major influence on how your vinyl will sound. It’s also the most ideal place to catch any problems that may arise before getting too deep into production. With most 3rd party lacquer cutters, you can order a reference lacquer to listen to with test cuts at different levels to get the most volume and quality out of your recording. 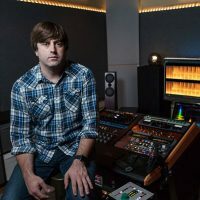 If there are any issues with your digital vinyl pre-master from your digital mastering engineer, or you’re unhappy with the results of the lacquer cut itself, it’s much quicker and cheaper to fix the problem at the lacquer cutting stage rather than after your project has gone on to metal plating and test pressings. Typically when you work directly with a pressing plant and let them handle the lacquer cutting, you don’t get to hear anything until the test pressings are made, at which point, nearly all of the work has been done when it comes to the sound quality of your record. Any necessary changes at this stage are costly and can significantly delay the completion of your order. Unless the pressing plant is somehow at fault when there is an issue, you will be paying the extra cost to recut lacquers and make new metal plates/stampers so a new test pressing can be made. Typically, pressing plants will not accept blame for bad sounding lacquer cuts that they do, or other “subjective” issues and concerns. For a pressing plant to take responsibility for a problem, it usually needs to be a clear mistake like using the wrong audio source, altering the song order, or something else that is factual and not opinion based. Often times when you send your digital audio directly to a pressing plant for vinyl production, the lacquer cutting is farmed out to a random lacquer cutter that you have no communication with, and is on the plant’s payroll and “team” for lack of a better term. If the pressing plant is handling the lacquer cutting for you, they often cut the lacquer at more conservative levels as a quick and easy way to avoid pressing and playback issues, rather than taking the time to get the most out of your lacquer cut and really getting it dialed in. They may also blindly apply default filters to the high and low frequencies to help avoid playback issues, rather than take the time and care to dial things in as well as possible. The few pressing plants remaining in 2015 are busier than ever, and they usually do anything possible to streamline projects to avoid redoing any work and causing delays and backups, especially on their dime. Some plants do decent in-house lacquer cutting, but using a dedicated lacquer cutter ensures that your record will sound great, and just the way you want it, before expensive and time consuming processes take place like metal plating and test pressings. When you submit your audio as approved lacquers to your pressing plant of choice, you’ll often find that the actual manufacturing cost at the plant is less than if you send them a digital source, and your project may move faster through their production line because they’re not dealing with having to cut lacquers from your digital source. The total cost to you typically evens out by the time you pay your own lacquer cutter, and then the pressing plant separately for the metal plating and pressing. The advantage to doing it this way is that your record is much more likely to sound great when using your own lacquer cutter. If you do some research, you can probably find a few lacquer cutters that have cut albums that you like the sound of and go from there. There are many variables to consider when releasing your music on vinyl, so it’s especially important to provide a special digital vinyl pre-master to your lacquer cutter to work with that is optimized for the vinyl format. 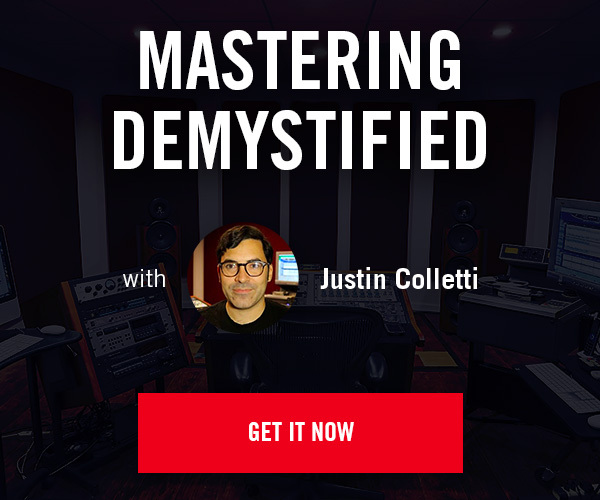 You should use a digital mastering engineer with experience preparing vinyl pre-masters. Most professional mastering engineers that master audio for for the digital realm will know how make an adequate vinyl pre-master for your project. It’s important to let your digital mastering engineer know you are planning a vinyl release so they can plan accordingly. While it’s technically possible to transfer audio from a CD to a lacquer for vinyl pressing, it’s not a particularly good idea for a number of reasons. I recently had a client decide to release their album on vinyl a few years after the CD/Digital version was done, and not knowing any better, they used a CD as the audio source for the lacquer cutting — an unopened replicated CD. This is a terrible idea. Each mastering engineer has their own workflow and methods for archiving projects, but I know that if this client had contacted me even years later, I could have rather easily recalled their project and prepared a good vinyl pre-master for them to work with, rather than using the CD master as they did. A loud digital master that works for compact discs and the digital realm usually does not translate well to vinyl, and doesn’t mean that you’ll end up with a loud record. The actual loudness of your vinyl will be determined by the lacquer cutter based on the length of each side, low frequency content, and other variables. Sibilance and other high frequencies (like hi-hats/cymbals) can also be problematic if not properly managed in mixing and mastering and tested for during the reference lacquer stage. Lacquers can also be cut from audio files that are higher resolution than audio CD which is limited to 16-bit/44.1k sample rate files. 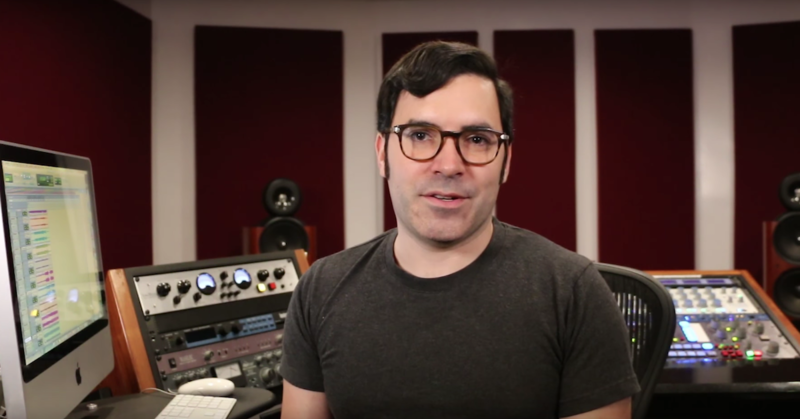 If your project was recorded and mixed at a higher sample rate than 44.1k, be sure to communicate to your mastering engineer that you’d like the vinyl pre-master to be 24-bit and at that higher sample rate. Some argue that 16-bit is fine for vinyl because the dynamic range of vinyl is less than 96dB but my suggestion is to keep your vinyl pre-master at 24-bit, in case the lacquer cutter needs to apply any digital processing before cutting the lacquers. The lacquer cutter will decide if they want to cut from 16-bit or 24-bit audio. Each pressing plant has it’s recommended length for each side of a record depending on the size (7”, 10″, or 12”) and speed (33 1/3 or 45 RPM), but the general rule is that the shorter the side, the better it will sound. As you push the recommended time limits for a side, you’re likely to hear some distortion, loss of high frequencies, and general graininess near the ends of each side. The final result is all dependent on the source material and who is doing the work, but when you’re planning your vinyl release, try to make the two sides as even and short as possible. Having your own lacquer cutter also allows you to go over those time limits when absolutely necessary, something that the plants won’t risk with the services they farm out to for lacquer cutting. If you’re using a broker or middle man for your vinyl order, be proactive and ask questions about who does the lacquer cutting, and how involved you can be. Many brokers will be able to negotiate a deal for your vinyl project with the audio delivered as lacquers over which you have complete control. It’s a little extra work but well worth the time and effort. If you’re going to invest a few grand into pressing vinyl, make sure it’s the best that it can be.